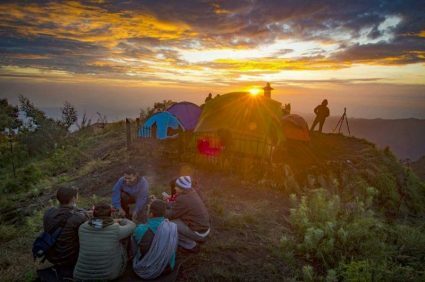 Mt Semeru Trekking Tour Package 4 days 3 nights, this package is aimed at you who like adventure or hike up the peak of the mountain, semeru mountain is the highest mountain on the island of Java. Mount semeru geographically located in two areas, namely Lumajang district and Malang regency. For climbers who will make the climb through the city of Malang or Probolinggo ( Mount Bromo Area ) to transit and next to the permit station in Ranupane. Trekking to the top of Semeru Mountain is very popular among young people, there are also families who want to enjoy the beauty of natural scenery in ranu kumbolo and peak semeru mountain ( mahameru ). Itenary trip Mt Semeru Trekking Tour Package 4 Days 3 Nights from Malang city. We will pick up at Surabaya airport and continue our journey to Tumpang Sub-district, Malang Regency. Arriving at Tumpang, conduct a medical check-up at the hospital to complete the requirements. Prepare all camping equipment then proceed to post at Ranu Pane Lumajang Regency to climb Mount Semeru. Arriving at Ranupane do the permission and briefing from officers of Bromo Tengger Semeru National Park ( TNBTS ). After that continue trekking climb to the camping place at Ranu Kumbolo taken about 5 hours on foot. 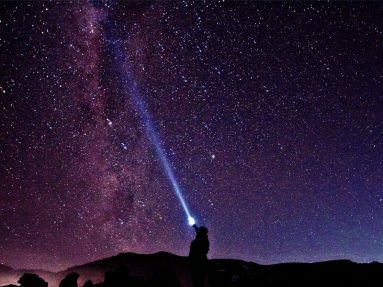 Set up tents for overnight and rest while enjoying the natural charm of Milky way and sunrise at kumbolo lake. Wake up at 4.30am to see the sunrise and breakfast. After that packing to continue trekking to Kalimati for about 5 hours through the Love ( Tanjakan Cinta ) and Oro-Oro Ombo. During the journey we will be treated to natural beauty that is still natural and Lavender flower garden that grows beyond the height of adults. After arriving at kalimati we will do camping and prepare all the needs for tracking to the top mahameru. The journey to the top of Mt Semeru ( mahameru ) will begin at midnight. At 11:30 pm, Packing enough items to be brought to the top. at 12.00 am starting trekking The path to pass is very extreme, it takes extra energy and a strong mental to conquer the sand path in the Semeru mountain will take about 6 hours on foot, then at 6 am to peak semeru. Enjoy the view and take pictures from the peak of Semeru, Rest, breakfast after 8 am then return to camp in kalimati about 3 hours walk. Arrive at kalimati break, lunch then continue the journey to Ranu kumbolo. set up a tent for the night while resting power. Wake up early, breakfast and packing. Start the trip go down at 9.00 am to Ranu pani for about 3 hours. Take a change of clothes and go on a jeep ride to the unfortunate. Arrive at Malang city and tour finish.